Marc Chaland began Nunchaku at the age of twelve, just after looking up to Bruce Lee and others Nunchaku practisers in martial arts movies. As one goes along practising, he participates several amateur shows for various occasions. When he’s 20, advised by his friends, he decided to reach the Nunchaku’s federation (FINCA) and went to a club in Lyon where he discovered fighting Nunchaku. In 2002, he won the European cup of artistic Nunchaku and then, in 2003, the world championship of artistic Nunchaku. After getting his technical black belt of fighting Nunchaku, he decided to open his own club in 2006. 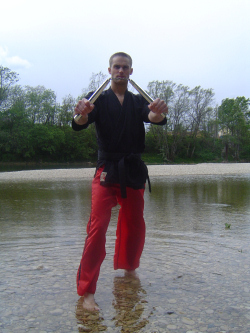 To date, it's the only specialized club of Nunchaku in the Rhône Alpes region in France. Here is the video of Marc Chaland’s performance for the Nunchaku World Cup at Vevey in 2008: click here. Nunchaku is open to everybody, it is for any age between 15 and 60 years old and women can also learn this martial art. 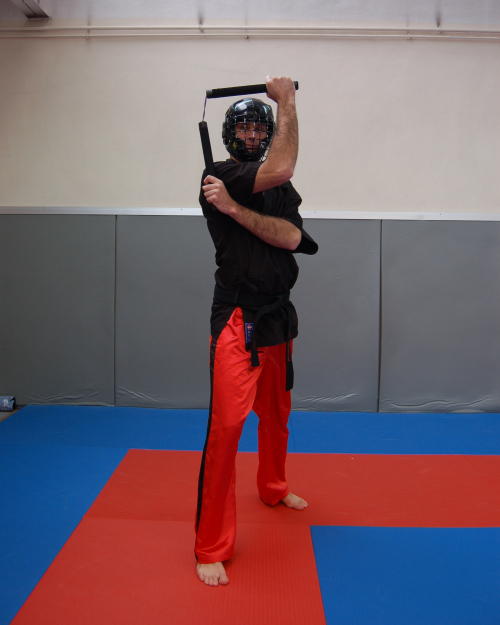 - Fighting Nunchaku permit to gain stamina, self-mastery, coordination, moves, concentration, flexibility and respect for his partner. - Artistic Nunchaku brings a lot of similarities but offer to the practising person more freedom, creativity and self-confidence during shows. My goal is to continue to make out my club and to make Nunchaku accessible to everyone because few persons know exactly what is this sport.